It is hot, dusty and massive: As you enter the construction site outside of Lagos, you find yourself in the middle of a huge arena of orderly chaos. Hundreds of trucks are driving through what is to become the biggest oil refinery in the world. The man behind it is Aliko Dangote. His estimated worth: $14.1 billion (€12.5 billion). He's known as Africa's richest man. A lot of products already carry his name in Nigeria: sugar, salt, flour. But it was cement that really made him rich. With government assistance helping protect his business from international competitors, it has basically secured him monopoly status. Now he wants to take on the oil business, a sensitive sector in Nigeria. The country is rich in oil, but it has to export crude first in order to later import refined oil. Nigeria's state-dominated oil industry made a lot of people rich, especially within the political and business elite, while most Nigerians live in poverty. Dangote's idea is to produce 650,000 barrels of oil a day and refine it in Nigeria to end the country's dependence on oil imports. The estimated cost of the project is $10.5 billion. More than half of it is financed out of Dangote's own pocket. But is it sustainable? Akpan Ekpo is skeptical. The director general of the West African Institute for Financial and Economic Management in Lagos sees a future for Nigeria beyond oil. "The oil as we are aware is no longer that sustainable going forward, alternative energy sources are being developed every day," he said. At the recent climate summit in Kenya, the World Bank emphasized its commitment to end support for oil and gas as it highlighted Africa's pursuit to go green. According to research done by the International Consortium of Investigative Journalists (ICIJ) in which German public broadcasters NDR and DW as well as German daily Süddeutsche Zeitung were involved, the World Bank has invested into various fossil fuel projects in Africa. The private-sector lending arm of the World Bank, the International Finance Corporation (IFC), provided funds for Dangote Industries' oil refinery project. In addition to that, it granted an extra $150 million directly to the conglomerate's fertilizer plant, but it's completely unclear whether that loan isn't also supporting the oil refinery as the two businesses are managed by the same company. 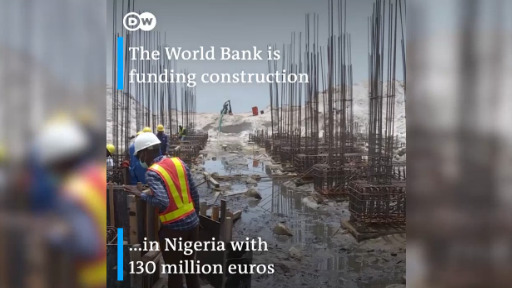 The World Bank says the loans were "designed to help Nigeria increase the value addition of its natural resources sector, specifically through fertilizers." According to an analysis done by German NGO Urgewald, the World Bank has provided more than twice as much funding for fossil fuels as it has for renewable energy in Africa over the last five years — $4.6 billion for fossil fuels compared with $2.1 billion for renewable energy. The global lender doesn't think much of that analysis, saying it spent $20.5 billion on climate action last year alone. Ekpo says the World Bank should have invested the money in ensuring stable electricity supplies in Nigeria. "The problem I have is that the petroleum industry is an enclave, it does not generate many jobs — in Nigeria we need industries that create jobs." Some Nigerians believe their lives will change once the oil refinery is in place. But experts point out that when it's operational, low- and medium-skilled jobs are bound to vanish. Nigeria is aiming to transform its stagnant economy. But if it does not connect to other industries, it won't be able to do so. And the oil refinery in question may become just another non-sustainable project — supported by a UN organization. Renewable energy: How realistic is Nigeria’s vision? 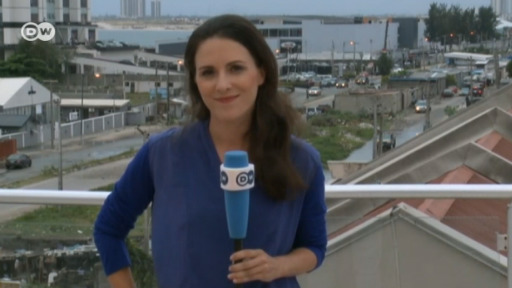 West Africa correspondent Fanny Facsar talks to DW about the world's largest refinery project in Lagos, Nigeria. Behind it is Africa's wealthiest man, Aliko Dangote. But the World Bank is also supporting it - despite pledging to heavily reduce investment in fossil fuel projects. And analysts warn that most work opportunities for local people will vanish once construction work is complete. Aliko Dangote, Africa's richest man wants to make Nigeria independent of oil imports. But the oil refinery he wants to finish in 2020 raises questions about sustainability. The World Bank's IFC gave Dangote a loan, though the UN organization promised to end financial support for oil and gas beyond 2019. 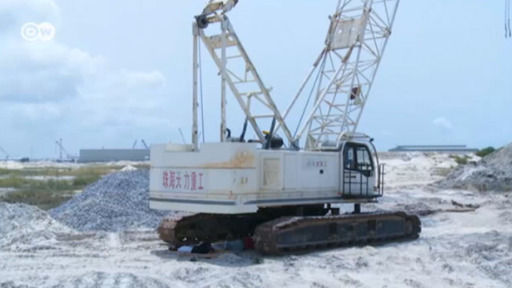 Nigeria is in the process of building the world's biggest oil refinery. Many locals hope it will contribute to alleviating poverty in the country.